Your car’s ignition cylinder provides power to your vehicle’s fuel and ignition system along with all electrical components like your vehicle’s computer. Its role is vital as it provides power from the battery directly to the starter to get the engine going. We’ve come to almost take our ignition system for granted. After all, we get in our cars and fully expect the engine to start; every time. If it doesn’t it is often due to a faulty or damaged ignition cylinder. It’s important to stay calm and not panic when this happens. This can be hard to do as the reason we got into the car in the first place was to drive somewhere and now we can’t. Before you call for a tow truck and book an appointment at your Atlanta, GA car repair shop consider a few things. Are you dealing with a dead battery? It’s easy to assume that your ignition switch is out when all along your car’s battery could be the culprit. How can you tell? Here’s a simple test. Do you dashboard lights turn on? Are they dimmer than usual or do they not turn on at all? If you can’t see them try checking the brightness control of the dashboard lights. Many drivers mistakenly think that these are malfunctioning when in fact the dimmer is applied and they just can’t see the lights on. Also try the headlights and radio. Do they work at all? How about the windshield wipers or emergency flashers? Look closely at your ignition. Can the key go in correctly or does something appear to be stuck in it? It’s quite possible that something got lodged inside or maybe the tumblers in the lock cylinder just got worn out. Now check to see if the steering lock is on or not. Do this by turning the wheel in one direction. Still not working? Now look at your key. Is it damaged in any way or cracked? Many times this can prevent your car’s ignition from starting. ARE YOU IN THE “PARK” POSITION? There’s a funny true story about a man that called in to his car dealer. He was angry that his car wouldn’t start during the day. The customer service person kept probing him for details and found to her complete surprise that the customer had the shift gear in the DRIVE position thinking that D meant day and not drive. The poor man also thought that N (neutral) stood for night! It’s no wonder that his car wouldn’t cooperate! Funny as that story is, many of us can mistakenly think that our ignition system is out and in truth we are just not in gear! Be sure to double check that your car is in PARK and “drive.” It might be in neither and just need a small wiggle to click it into gear. There’s a built-in safety mechanism that will prevent the car from starting if it’s not completely in PARK. Another important item to check is to see if your car’s ignition is already in the ON position. If it is, the ignition key won’t come out due to a safety mechanism that prevents the ignition from accidentally turning off when bumped. Can you imagine driving on one of our Atlanta, GA highways at full speed and bumping the ignition off? Make sure that your car’s ignition is OFF and that you are able to remove the key. Try to start your car now and see if it works. Is your ignition key stuck and won’t come out? Don’t force it! Breakage can occur and complicate your problem. Try jiggling the steering wheel back and forth a few times and see if that releases the key. Sometimes the key is stuck because it is the WRONG key and was inserted by mistake. Now the ignition cylinder won’t release it and forcing it out can lead to breakage to the key and further damage to the ignition switch! Should you rely on the advice of friends and family members? That depends; are they mechanics or just well meaning “know it all’s?” Be careful here. Remedies can be plentiful but remember that it’s your car and well-intended amateur solutions can often lead to further break down and a bigger repair or replacement bill later. Don’t be overzealous in your quest to save on a repair bill. 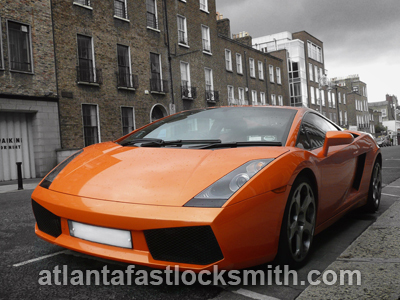 If a wiggle here or a minor adjustment there doesn’t work you can always call on Atlanta Fast Locksmith for help. We offer professional service at affordable prices and with mobile convenience as well as 24-hour emergency help. Another option for you is to get free help by using the internet. You can access any of hundreds of auto repair forums where people that drive your make and model of car are discussing repairs, replacements, installations and advice. Simply go to your search bar on your favorite browser and enter the make and model of your car plus the words ignition cylinder repair followed by the word “forum.” By doing this you can see how others in your situation have handled their ignition cylinder problems. Online videos are another valuable source for help. YouTube and Vimeo have their own search bars or you can enter the key words “Your make and model ignition cylinder repair” and click enter. On top of the page you will see the option to enter VIDEOS and then you will see several pages of relevant footage from individuals, mechanics, locksmiths, car repair specialists and more. Here in Atlanta, GA you have many options. How urgent is your need to drive? What kind of budget are you working with? Does your ignition problem need to be absolutely free or can you spend some money on fixing the problem? Bear in mind that working with an established and fully licensed automotive locksmith shop like Atlanta Fast Locksmith can save you tremendous time and money over do-it-yourself repair or going to a car repair shop or dealer. Simply give our shop a call and our friendly technicians will get your ignition cylinder back to working like new!